A trip to the fishing docks of Kesennuma City, Japan, is not for the squeamish. With assembly line efficiency, men clad in industrial overalls oversee a process that begins with an early morning mass dumping of dead sharks and ends with innumerable plastic buckets full of severed fins. The sharks’ remains are unceremoniously forklifted onto trucks. 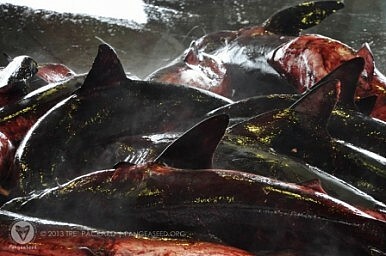 Kesennuma netted some 14,000 tons of sharks in 2009, for which the industrial scale operation earned more than 2.4 billion yen. The reality is far more complex. Kesennuma has become known as ground zero among shark activism circles as a place where the fin trade has reached an industrial scale. However, “finning” is not traditionally done at port, but at sea. This largely illegal activity is often done by fishermen on boats off the coasts of developing Asian countries, with Indonesia atop the list. In these cases, sharks are simply caught, their fins lopped off and the remainder thrown back into the ocean. While the practice is deplorable, many of the fishermen involved are operating at subsistence level, struggling to earn a living. 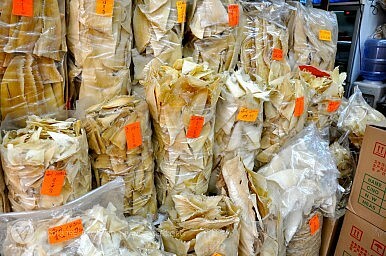 According to Packard, illegally obtained shark fins are the third most lucrative illicit good on the world market, behind only drugs and guns, and outselling ivory. Opposition to this illegal side of the market – as well as the legal, regulated side – is growing. And the reasons are many. All of this is being done, however, at the expense of our oceans’ health, argues a growing chorus of conservationists. And their message is increasingly getting through. From massive operations like Kesennuma or the private boats of struggling fishermen who catch, cut and release to the streets and restaurants of Hong Kong, shark finning is under increasing pressure in Asia and around the world. The facts and figures would appear to support their concern. According to a 2009 study by the International Union for the Conservation of Nature, 32 percent of all shark species in the open ocean are threatened with extinction, primarily due to overfishing. 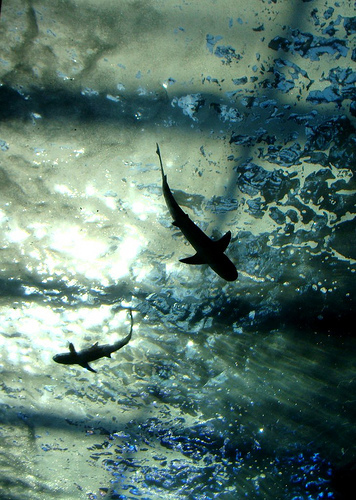 For sharks caught in high-seas fisheries that figure jumps to 52 percent, the study found. Among the most endangered species are hammerheads, great whites, basking sharks, and oceanic whitetips, among others. A major concern, Packard explains, is that some sharks take up to 20 years to reach sexual maturity. With wait times like this, they breed too slowly to repopulate. Yet although roughly 15 to 20 percent of the earth is protected from hunting and farming, only 0.5 to 1 percent of the ocean enjoys the same status. In light of these alarming trends, a growing movement to ban finning is on the rise across Asia and around the world, and public awareness is gradually rising. 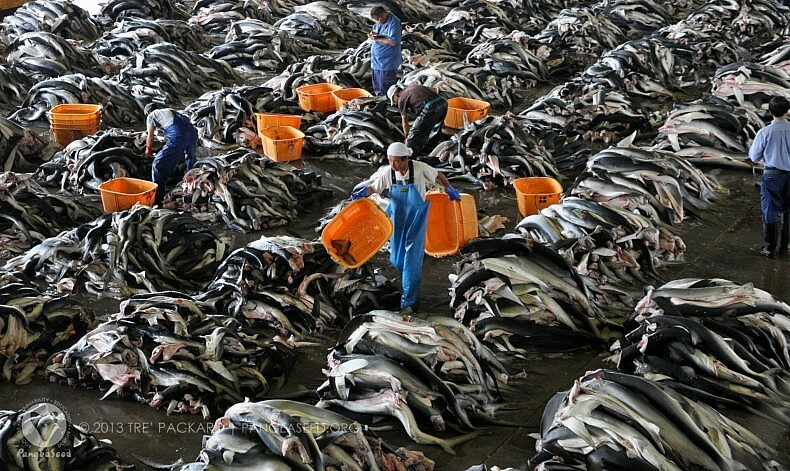 When facing the possibility that many species of shark could actually become extinct, it should be noted that shark finning is not monolithic. An Australian fisheries expert with decades in the industry explained to The Diplomat that the practice can be divided into three classifications. The first is illegal finning: catching the shark, cutting the fins off and throwing it back into the ocean to suffer a lingering death. 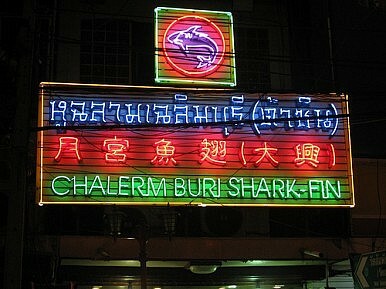 In the second form, fishermen use the entire shark, with the fins being only a lucrative by-product. Uncontrolled fishing still goes on in this second category. In the third division of the industry, the fishing is totally controlled and the overall catch managed to ensure no over fishing and no wasted fish. Many activists are not swayed by the evidence supporting sustainability, and instead call for an outright ban on all shark fisheries. For members of this group, one major factor that works against their cause is the lack of compassion people feel for these seemingly fierce predators of the deep – an image that is heavily reinforced by the media and entertainment. Cue Jaws. 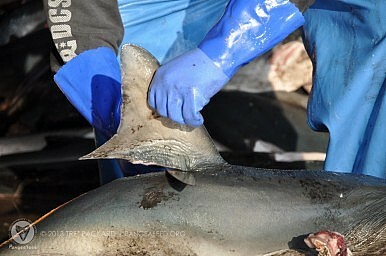 Recent reports indicating public attitudes towards sharks include the story of a shark that was strung up near the coast of New South Wales in an “act of cruelty,” while another dead shark was spotted on the New York City subway that went viral when images circulated of it with a cigarette in its mouth and an energy drink next to it. According to National Geographic, around 50 to 75 people worldwide are attacked by sharks each year, with 5 to 15 fatalities. A list of 11 animals more likely to kill you includes bees, ants, cows, mosquitoes, hippos, dogs and even deer. While shark fin soup is the most obvious food that includes shark, Packard explains that fish cake sold in convenience stores is often shark. “They’re basically poisoning the next generation of Japanese by selling this meat,” he says. A number of campaigns are underway in the east and west to correct these misconceptions and focus public attention on the real danger: the possibility that these ecosystem lynchpin species are in grave danger. From the Discovery Channel’s recently passed Shark Week to information campaigns like Shark Savers, the shark conservation initiative is in full swing. In Hong Kong and the mainland today there is ample evidence that a shift is occurring in consciousness. Although many among the older generations may be set in their ways, college students are heavily engaged in this effort. 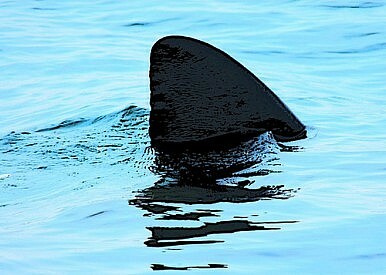 “It appears the younger generations are indeed less interested in shark fin soup than their elders,” Fordham notes. A number of local celebrities have also jumped on board – even Chinese basketball superstar Yao Ming has sworn off shark fin soup. Richard Branson has joined him. There has some signs this may have begun. 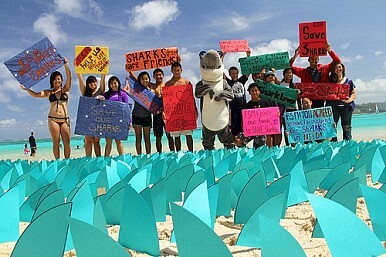 In 2010, Hawaii was the first state in the U.S. to outlaw shark fins. Several other states have followed suit. Further signs that the tides are turning include shark fin bans by MUJI Taiwan, which took instant shark fin soup off its menu; airlines, including Cathay Pacific and Air New Zealand; and a number of major hotel chains in Hong Kong. Further, Fordham notes that finning is already banned outright by a growing number of countries (at least 40, plus the EU) and by most international fisheries bodies. For all of the progress made, perhaps a dose of realism is in order. But those who advocate sustainable fishing suggest that across-the-board bans do not guarantee survivability. Looking for more information? The argument for sustainable fishing is made in the documentary Two Sides to a Fin, which can be seen here. 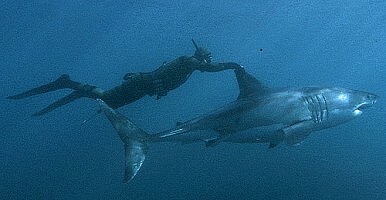 For a stance much more strongly against the fin trade, see Sharkwater, a nine-part documentary that starts here.